You are here: Home / All posts / GP-led commissioning of health services: here to stay or gone tomorrow? A survey of GPs suggests that only a minority think that commissioning services is an important part of their role, and that many current GP leaders of Clinical Commissioning Groups intend to quit their roles in the next five years. Professor Kath Checkland and Dr Valerie Moran blog for us on their study, and the way forward for CCGs and NHS commissioning. In 2012, the NHS in England underwent a reorganisation ‘so large, you could see it from space’. The centrepiece of the reorganisation was the creation of around 200 ‘Clinical Commissioning Groups’, with responsibility for purchasing most aspects of healthcare for their population. Led by GPs, these groups were intended to ensure that services were closely linked to what patients needed, using the accumulated knowledge and experience of the GPs involved. Involving General Practitioners (GPs) in the processes of planning and procuring hospital, community and other services (e.g. mental health) has been an important element of English health policy for many years, driven by a belief that GPs know what their patients need and that their involvement will make the use of services more efficient. However, there is limited evidence of positive impacts from previous initiatives. Clinical Commissioning Groups (CCGs) were supposed to overcome the short-comings of previous schemes, not least by increasing the number of GPs involved and by giving them statutory authority. In practice, CCGs have, like many of their predecessor organisations, struggled to engage GPs. Furthermore, there have been issues around communication between CCGs and their member practices, and concerns about the sustainability of GP leadership. We carried out a nationwide survey of a sample of 5,659 English GPs in the autumn of 2015, asking them about a variety of aspects of their working lives and their job satisfaction. We asked them about their involvement in commissioning, their belief about the importance of this part of their role, and their plans for future involvement. Our findings, based on the responses of 2,611 GPs, (response rate of 46%) are published in the BMJ Open. We found that, after decades of initiatives designed to get GPs engaged with commissioning, only a third of GPs thought that this was an important part of their role. Male GPs and those who are partners in their practices were more likely to answer positively, reflecting what is known about the leadership of CCGs. We asked GPs which aspects of their work CCGs should be able to influence. Those who replied to the survey were more comfortable with the CCG influencing the drugs that they prescribed than influencing their referrals or practice opening hours. CCGs are so-called ‘membership organisations’, with all GP practices required to be a member of a CCG. This is intended to ensure that all GPs engage with the work of the CCG, and to make sure that CCG decisions reflect the needs of all patients in their area. We asked GPs how engaged they felt with their CCG. For those GPs without a formal role in running their CCG, only 18% said they felt that they ‘owned’ their CCG and 14% said that their CCG’s decisions reflected their views. Male GPs were more likely to say the CCG reflected their views than female GPs, and partners were more likely to be positive about their engagement with and ability to influence the CCG than salaried GPs. In total, in our sample there were nearly 300 GPs who had some sort of formal role in the running of their CCG. Approximately half of these (141) told us that they intended to quit these roles in the next five years. Of the GPs who currently do NOT have a formal CCG role, only 3% (64) told us that they would like such a role in the future. Taken together, our findings suggest that, whilst GPs do accept that there is a role for CCGs in influencing their work, the ideal of CCGs as ‘membership organisations’, owned by engaged and involved members is some way from being realised. Furthermore, it seems likely that over the next few years there will be an increasing shortage of GPs prepared to take on leadership roles in CCGs. Our study suggests that CCGs urgently need to start considering their succession plans, including actively seeking to engage a wider range of GPs, including salaried doctors and women. On a more positive note, there is some evidence that even those not currently engaged with their CCG believe that it has a legitimate role in influencing their work, and it seems that engaging with the CCG in some capacity is associated with a more positive attitude to its work. More generally, as GPs, like other parts of the NHS, struggle with increasing workloads, is it realistic to expect them to also take responsibility for planning and procuring services? The NHS overall is currently moving to a model of geographically-based plans, built upon collaboration between commissioners and providers. Further research is needed to tease out exactly what the impact of GP involvement in commissioning is, alongside consideration of how GPs’ knowledge about their patients and experience of local services can best be captured and used to support the new planning processes. 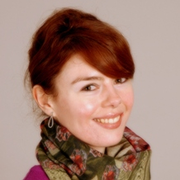 Dr Valerie Moran is Research Fellow at the London School of Hygiene and Tropical Medicine. Her research includes healthcare financing, health policy, and comparative healthcare systems.